Need more FLARE for your party?! 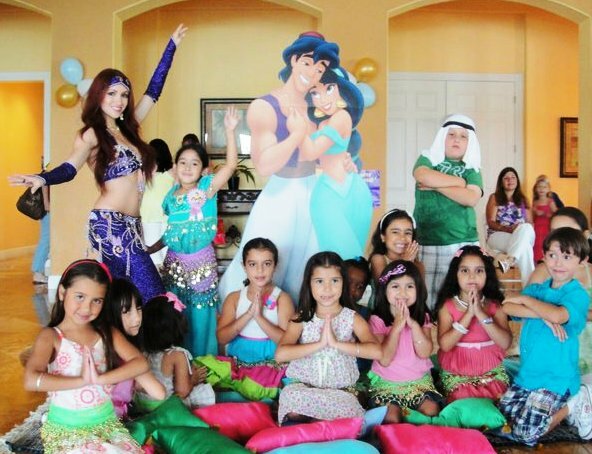 Here are some exciting Party Ideas to make your party even more memorable! Need more belly dancers to shake up your party? * Or if you just want more pizzazz for your party! Click here to view a video of the dancers. to perform alongside Shayna or dare to perform a solo act! Love the lime-light? Want to really surprise your guests? Through private classes, learn a one of a kind belly dance choreography for you to perform at your very own party. You can perform a duet with Shayna, or she can choreograph a dance for you to shine all on your own! Your music, costume, props, and all other aspects of your belly dance performance can be handled by Shayna! So get ready to be launched into the fabulous world of belly dance! Add the ambiance of a Hula greeter to your Luau party! She can speak Hawaiian greetings to your guests when they arrive to your party as she adorns them with an authentic flower lei. Or, Delight your guests at your Luau party with a hawaiian/tahitian dance show with Hawaiian inspired games! Watch the dancer take you around the Islands of Polynesia as she demonstrates the dancing from each Island then gets you up out of your seats as she teaches you and your guests how to dance too! Then get ready to play fun games with a Limbo Stick and Hula Hoops! Shayna was recently featured on Ch. 7 News performing Hawaiian dancing for Make a Wish Foundation! Shayna and the lucky birthday boy! ​Add some color to your next party with a performance from Brazilian Samba dancers! Samba shows are known to be full of energy and beauty and will be sure to liven up your party. The dancers perform to upbeat authentic brazilian music as they transport your party guests to Rio de Janeiro, Brazil. The dancers will then get you and your guests up to dance with them as they teach the basic samba footwork and popular moves. Hire a Samba dancer today! 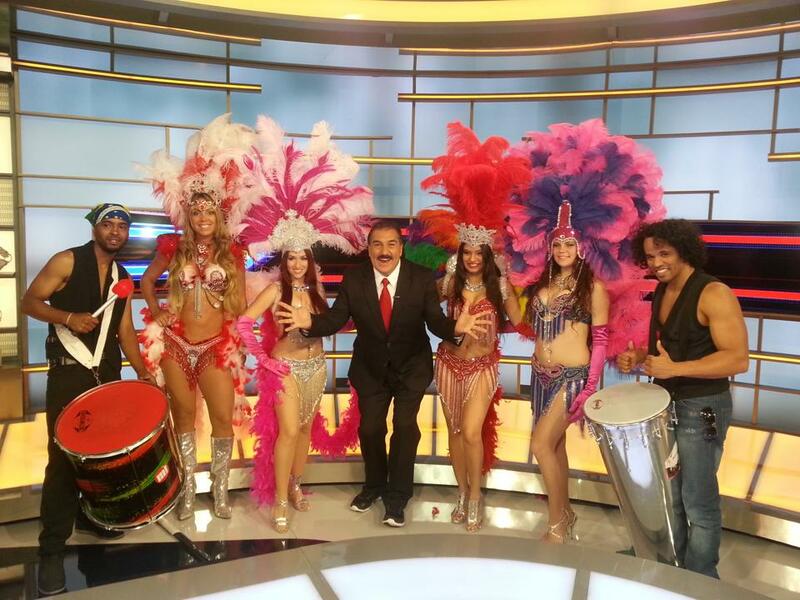 Shayna and other samba dancers featured on TV show "Republica Deportiva"
Henna tattoo artists are also available for parties and special events. Henna is a temporary tattoo that is a safe and natural dye. It is traditionally used to tattoo hands and feet for holidays and special events. The artist will design a one of a kind tattoo for you and your guests. Designs will typically last up to 2 weeks. 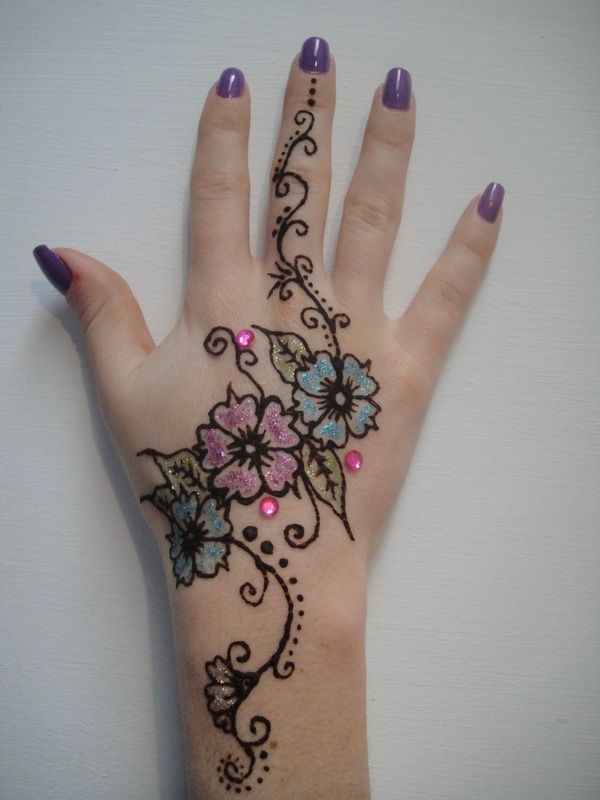 Treat yourself and your guests to a henna tattoo. 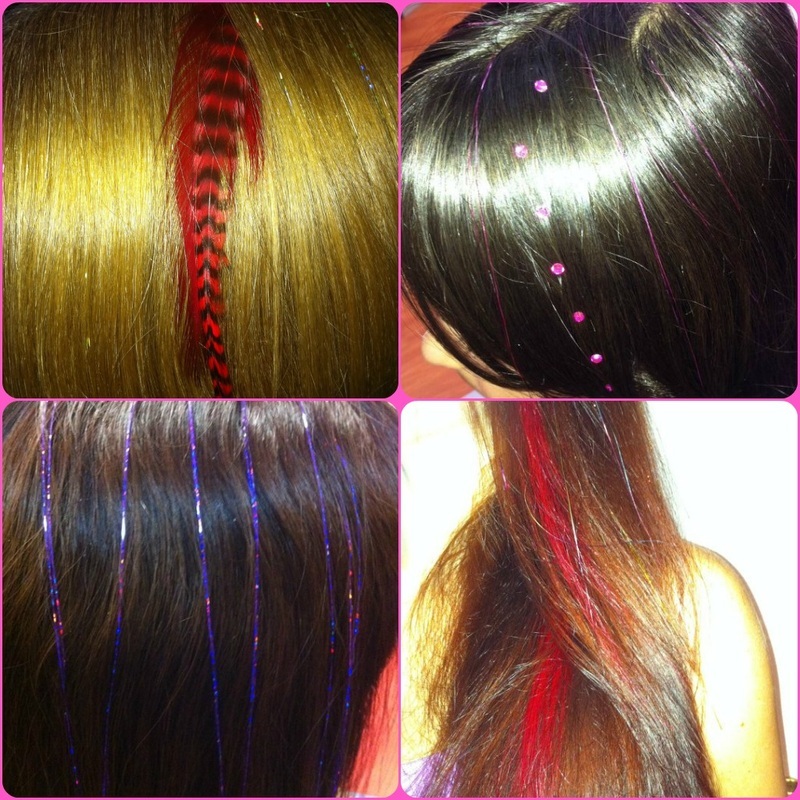 Lavish your party guests with these great temporary hair flairs: Hair Feathers, Hair Tinsel, Highlight Extensions, and Hair Diamonds. Each hair flair lasts a couple weeks to a couple months. All are safe on hair and can be removed if necessary.